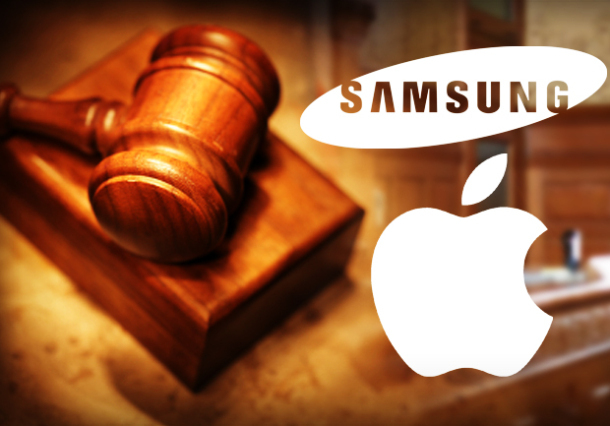 Just weeks after a jury handed Apple Inc. a billion dollar victory over rival Samsung Electronics Co. in a patent infringement suit, Samsung is heading back to court, asking that the verdict be dismissed due to juror misconduct. In a Motion for Judgment as a Matter of Law, New Trial and/or Remittitur Pursuant to Federal Rules of Civil Procedure 50 and 59, filed on October 3, 2012, in United States District Court, Northern District of California, San Jose Division, Samsung alleges that jury foreman Velvin Hogan failed to disclose a lawsuit and his personal bankruptcy during voir dire, made public statements suggesting that he failed to answer the Court’s question truthfully to secure a seat on the jury panel, and provided other jurors with incorrect and extraneous legal standards during deliberations. According to Samsung’s motion, in response to questions during voir dire, Mr. Hogan disclosed one prior lawsuit to which he was a party, but failed to mention that he was sued by his former employer, Seagate4, for breach of contract after he failed to repay a promissory note and filed for personal bankruptcy six months later. Samsung maintains a “substantial strategic relationship” with Seagate; in fact in 2011 Samsung sold its hard drive division to Seagate in a deal worth $1.4 billion, making Samsung the single largest direct shareholder of Seagate. Due to this substantial strategic relationship, Samsung claims that, “Mr. Hogan’s failure to disclose the Seagate suit raises issues of bias that Samsung should have been allowed to explore in questioning and that would have triggered a motion to strike for cause or a peremptory strike. Following the trial, Mr. Hogan appeared on national new media, discussing the trial and explaining what happened during deliberations. As explained in Samsung motion, Mr. Hogan’s post-trial statements indicate that he failed to answer the court’s voir dire questioning truthfully “in order to secure a seat on the jury,” raising a presumption of bias under Dyer v. Calderon, 151 F.3d 970, 982 (9th Cir. 1998) (en banc). During interviews, Mr. Hogan stated that he “expected to be dismissed from the jury because of [his] experience” and that he was “grateful” to be selected. Mr. Hogan also commented that he wanted “to send a message to the industry at large that patent infringing is not the right thing to do,” after refraining from making any comments about infringement during voir dire. Also during post-trial interviews, Mr. Hogan presented explanations of patent law that possibly misconstrue the law. Pointing to Mr. Hogan’s statements that he used these explanations during deliberations, Samsung alleges that the incorrect and extraneous legal standards had no place in the jury room and raise questions about the trial verdict. Based Mr. Hogan’s alleged conduct during voir dire and deliberations, Samsung concludes that the only possible remedy is a new trial. Following the filing of Samsung’s motion, Mr. Hogan denied the allegations and stated that he was not bias. More documents related to the allegations and Mr. Hogan’s previous litigation were recently released in un-redacted form and are being analyzed by online observers. Apple has yet to respond to the motion. When a Textbook You Brought Isn’t Really Yours . . . .